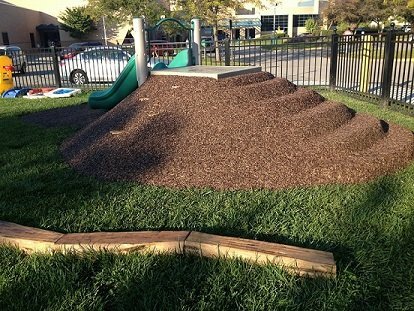 Ecoturf Surfacing is a recreational surfacing company based out of Kansas City, Kansas. 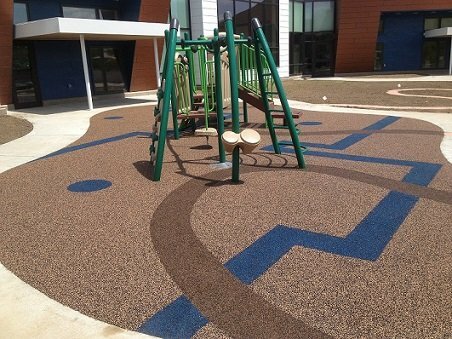 Since our creation in 1997 we have installed thousands of playground surface systems in seven countries around the globe. 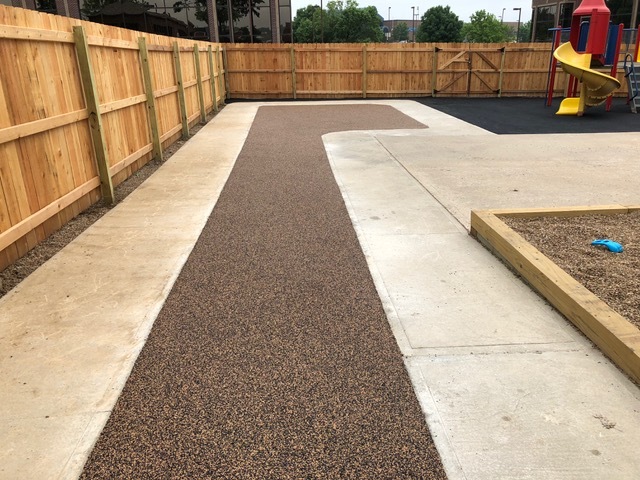 While Omaha, St. Louis, Kansas City, Chicago, Oklahoma City, and Des Moines are some of the major cities where we install our surfacing systems, our services can be provided worldwide to anyone looking to improve the safety of their recreational areas. At Ecoturf Surfacing we are pleased to provide a one stop service for your surface system. 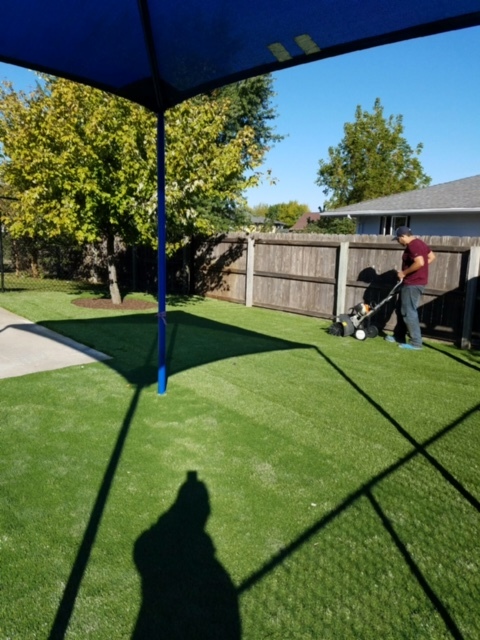 Our trained office staff and in house installation crews will guarantee your job, whether big or small, will receive superior customer service and quality products. Our products meet and exceed ASTM and ADA guidelines. Buy direct from the manufacturer and save both time and money! 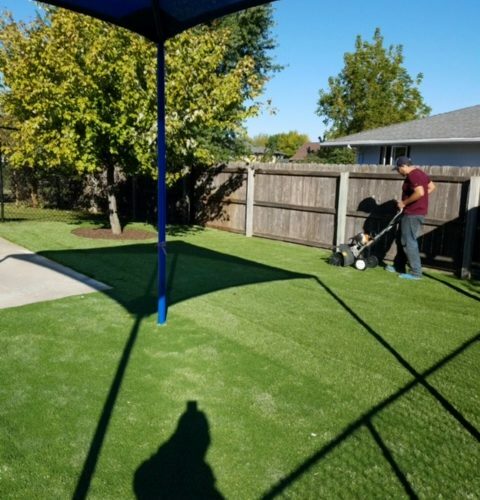 Ecoturf Surfacing is all about being Eco-Friendly! 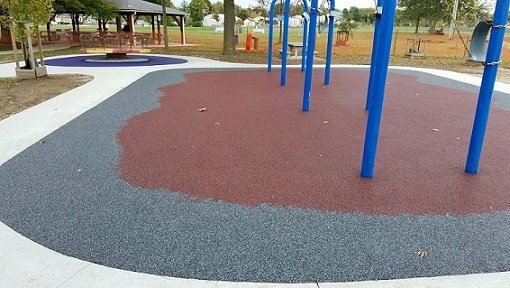 We are very encouraged by the excitement generated by our recycled rubber surfacing products. Therefore, we are working hard to create new surfacing and landscape products with these recycled materials. 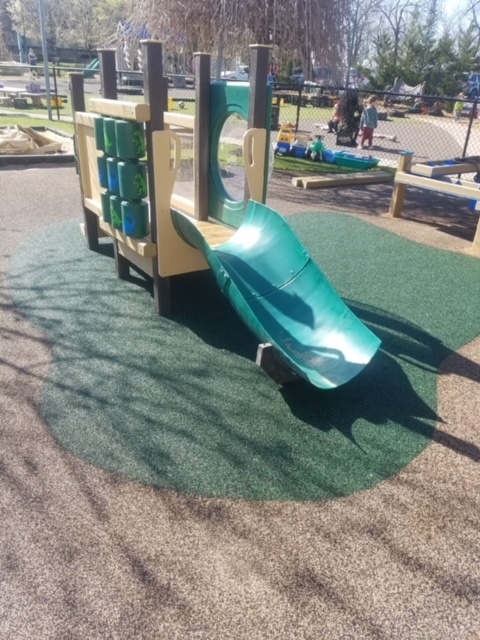 Ecoturf Surfacing is dedicated to helping the public understand the benefits of recycled products and how they can create beautiful recreational and playground surfacing solutions. Part of the process is helping the customer to understand that recycling is not just about making products out of discarded materials, but about consumers purchasing these recycled products. In order to succeed with this task, we are committed to introducing only the highest quality end products into the marketplace. This allows the consumer to purchase something they will truly enjoy. 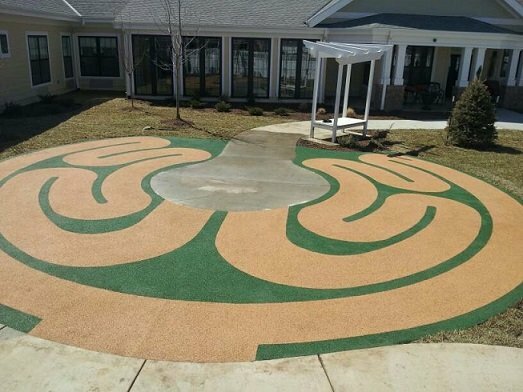 The benefits of our “Eco-Friendly”, surfacing products far outweigh their wood mulch, pea gravel, and concrete counterparts. From sustainability to comfort, we are confident that our products will exceed even the most uncertain buyers. 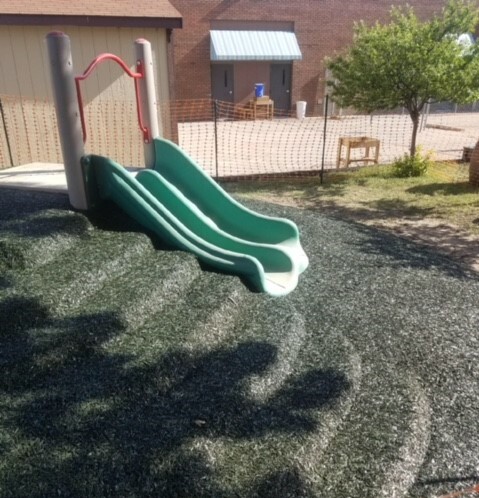 Please allow Ecoturf Surfacing products to help bring you to the next level of Playground Safety Surfacing. 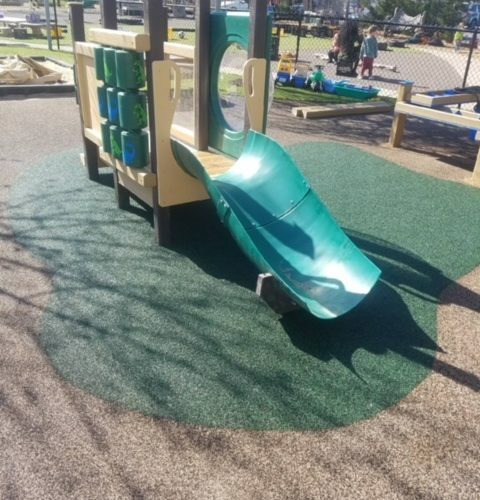 Ecoturf Surfacing provides professional service combined with high quality products for guaranteed satisfaction; making Ecoturf Surfacing the perfect fit for your next park or playground project. Please feel free to contact us for more information on our products and services. Thank you for doing such a Great job with the rubberized mulch. 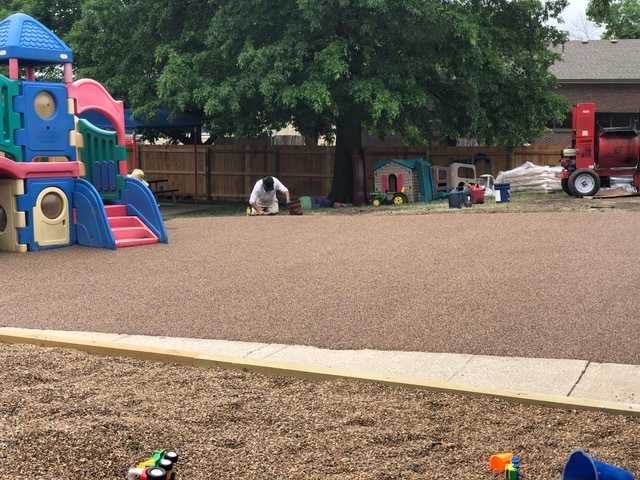 We Love the new surfacing on the berm slide areas and around the two trees! The kids had the hardest time waiting to get on the slides, but are now having a blast – your workers did a great job with the steps! Thank you again for all your hard work and the warranty information, we really appreciate it. I was exceptionally pleased with the work completed, it exceeded my expectations. You absolutely are the best. I love working with you. They(crew) did an amazing job along with you(office) on the communication. We will be recommending you guys to everyone we come across. You guys are awesome, You’re so good to work with!!! Excellent!!! It looks amazing!! We are SO excited to get out and play on it!! Thanks again for all your teams hard work. Very much appreciated!! We get compliments on the product daily. Hope to work with you all in the future!! Thank you, it looks great! We are very happy with the finished product and have let our supervisor know. She will be contacting you for other centers in the near future! 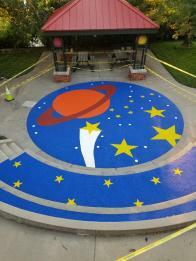 The playground looks amazing! Thank you for your hard work! Thanks for the Great service and shipping cost savings. We look to use this product quite a bit moving forward and we will be in touch.